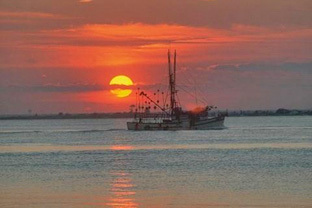 Spanish Wells lies on a peninsula that divides Broad Creek and Calibogue Sound, providing residents with spectacular water and sunset views. Architecture varies from lavish estates to older, more modest homes. All lots exceed one acre. The community features a clubhouse and semi-private nine-hole golf course, community tennis courts, a pool, a beach area and recreational boat dock. Spanish Wells is a non-gated community protected by roving security patrols.